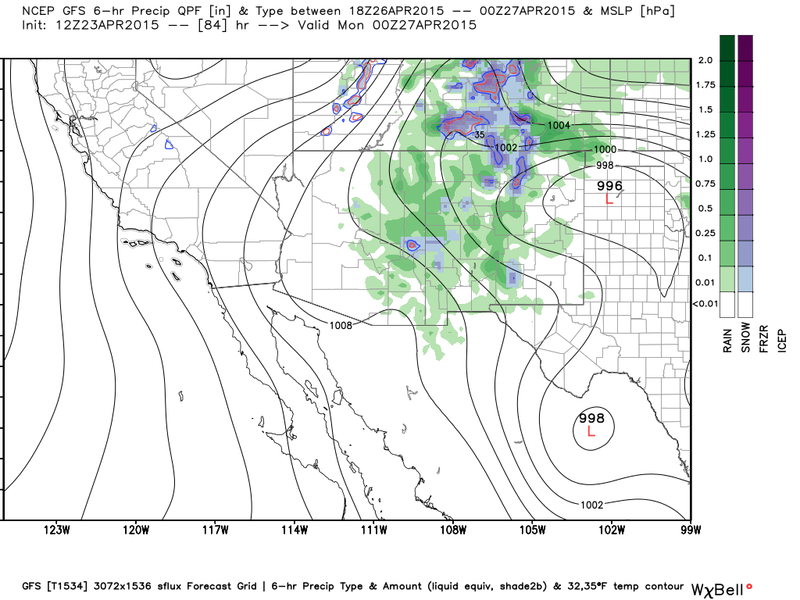 Stormy Weather Friday Into Monday For New Mexico & Texas. 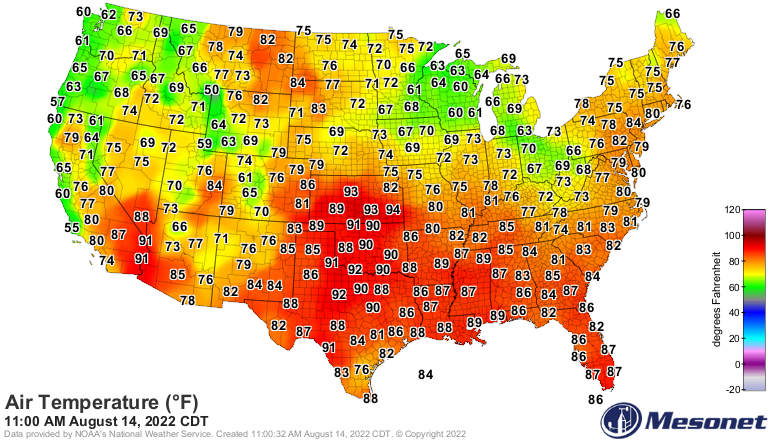 Severe Weather Continues Today Into Friday. 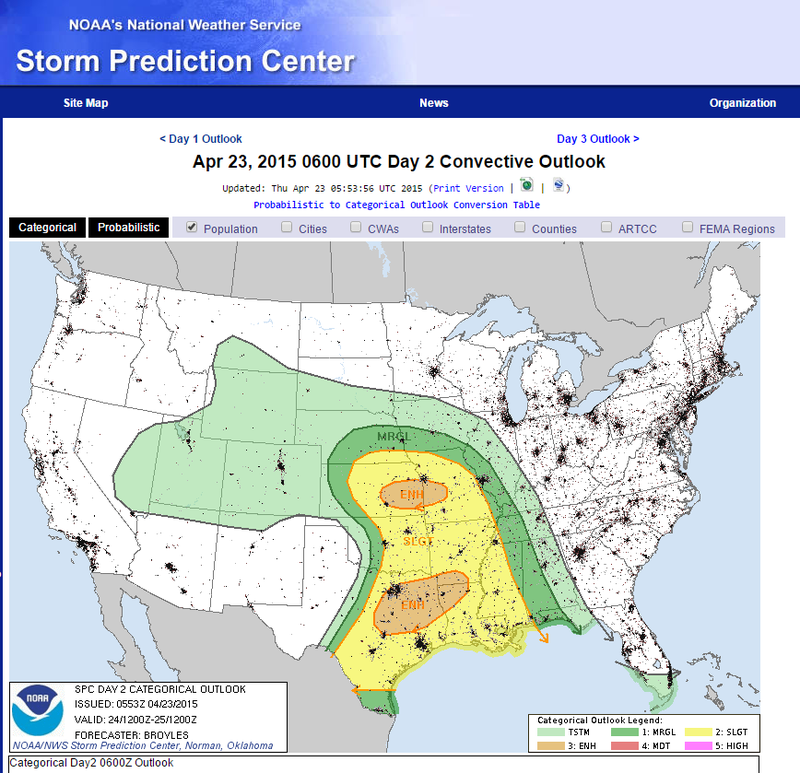 NWS SPC Severe Weather Outlook Friday. 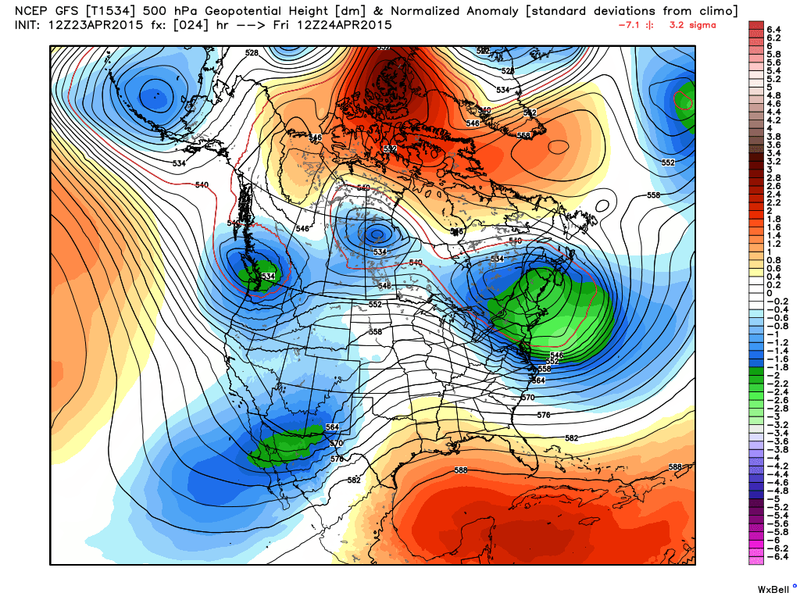 Weather more typical of late April will impact the region today into the first of next week. 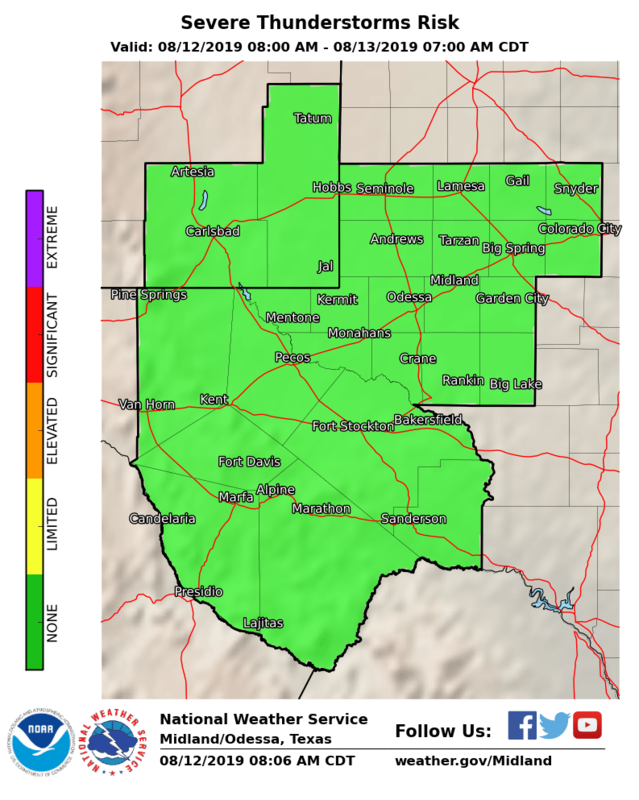 Severe thunderstorms broke out over parts of western and northern Texas yesterday afternoon and evening and another round is expected today into this evening, and again on Friday. 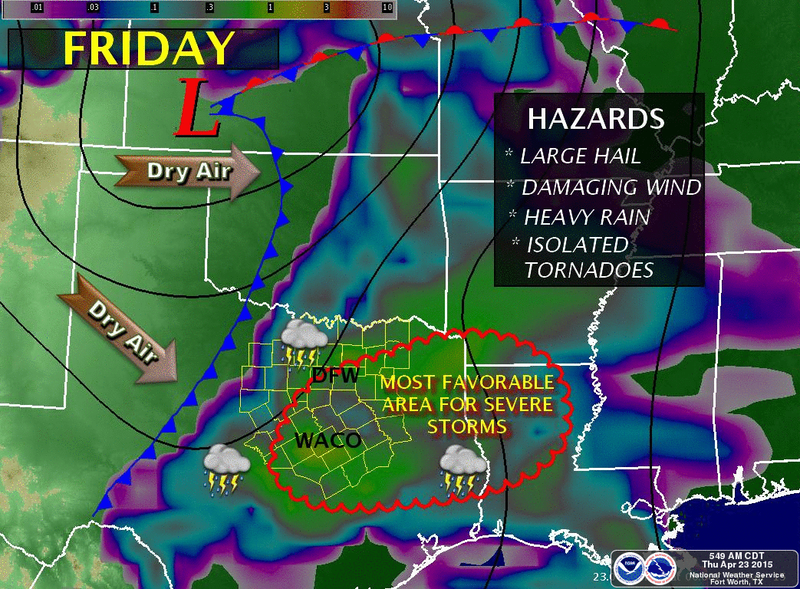 Much of Texas will have experienced some type of severe weather by Friday night. 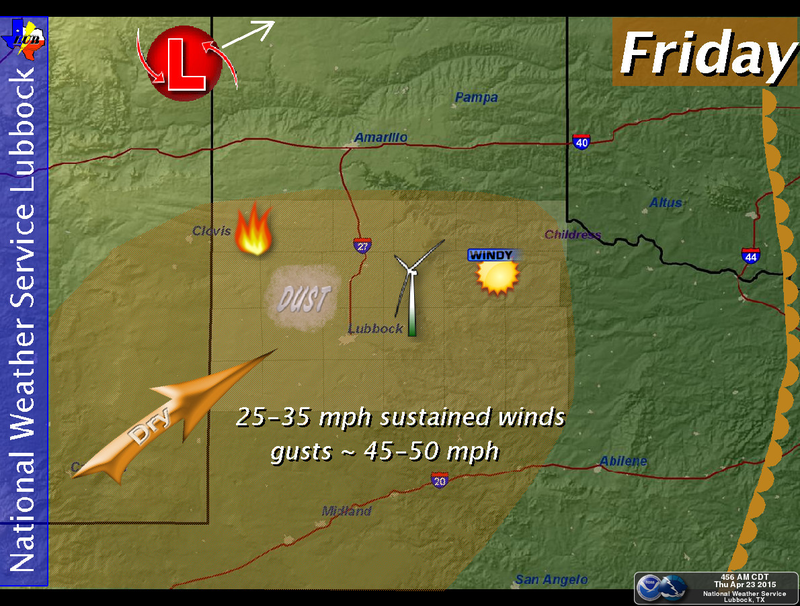 Windy & Dusty In SE NM & W TX Friday. 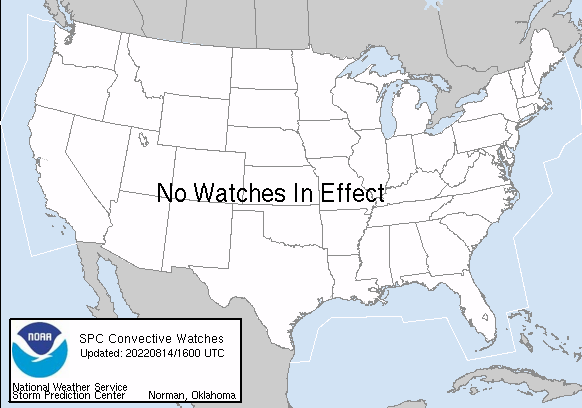 Courtesy Of The Fort Worth, TX NWS Office. 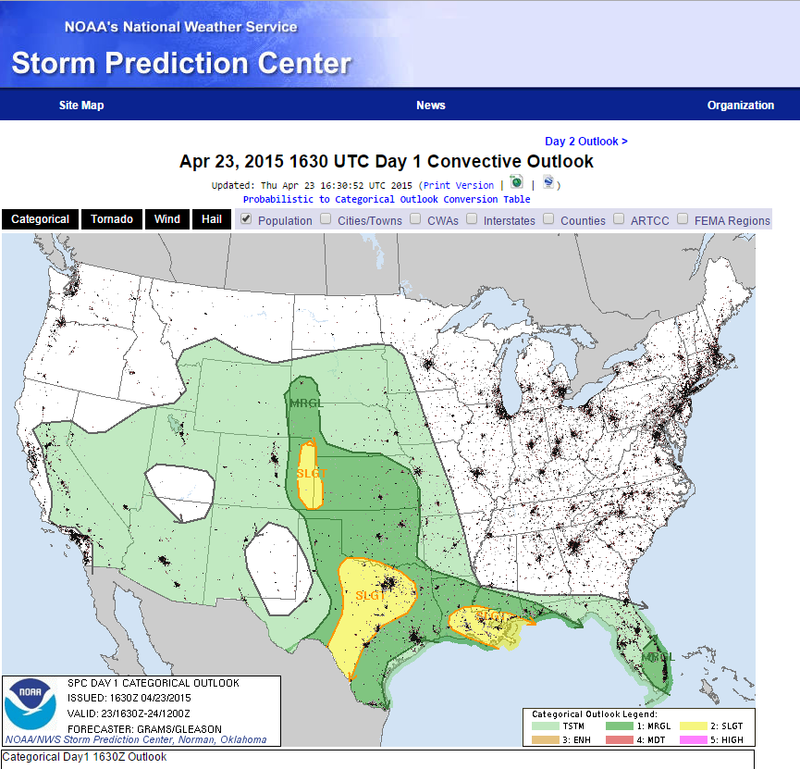 "Severe Weather Threat Continues Late Today Into Friday." 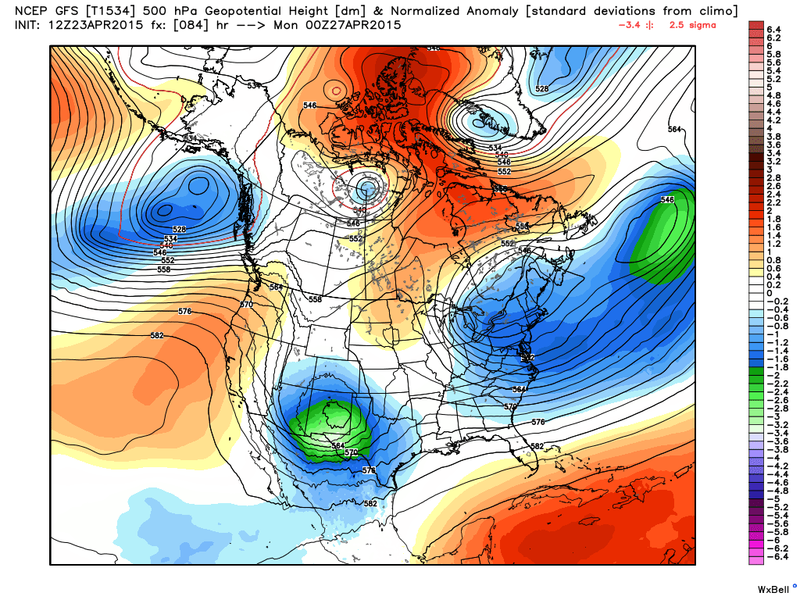 Back in the Land of Enchantment a more typical spring-like day is expected across the southeastern plains on Friday. A another upper level storm is forecast to zip overhead on its northeastward journey into the Texas Panhandle by tomorrow afternoon. 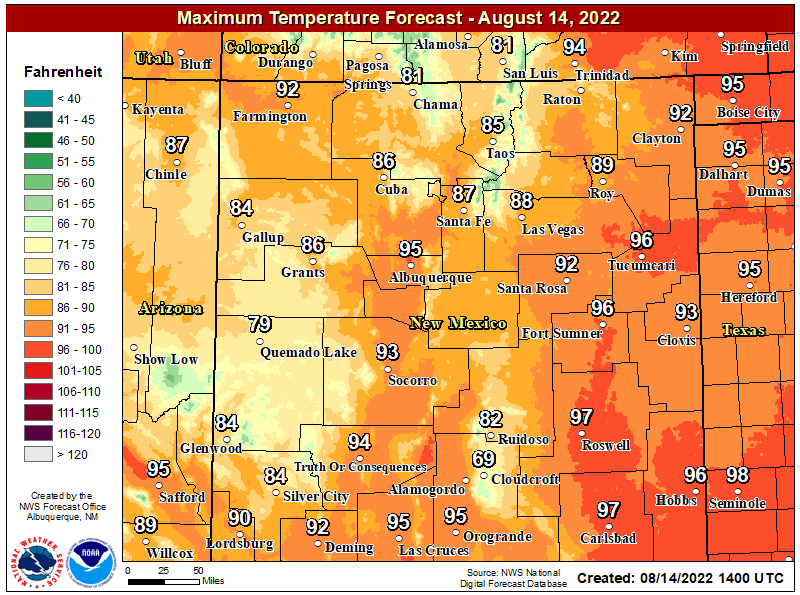 As it does it will kick up strong southwesterly to westerly winds over the local area along with patchy areas of blowing dust. 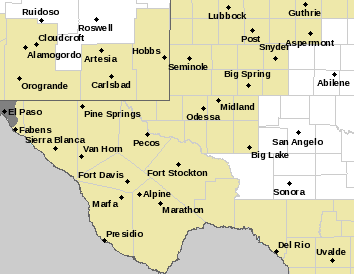 These winds will gust up to around 40 - 50 mph across the lower plains of SE NM & parts of W TX with gusts of up to around 60 mph or higher across the Davis and Guadalupe Mountains where a High Wind Watch is in effect. 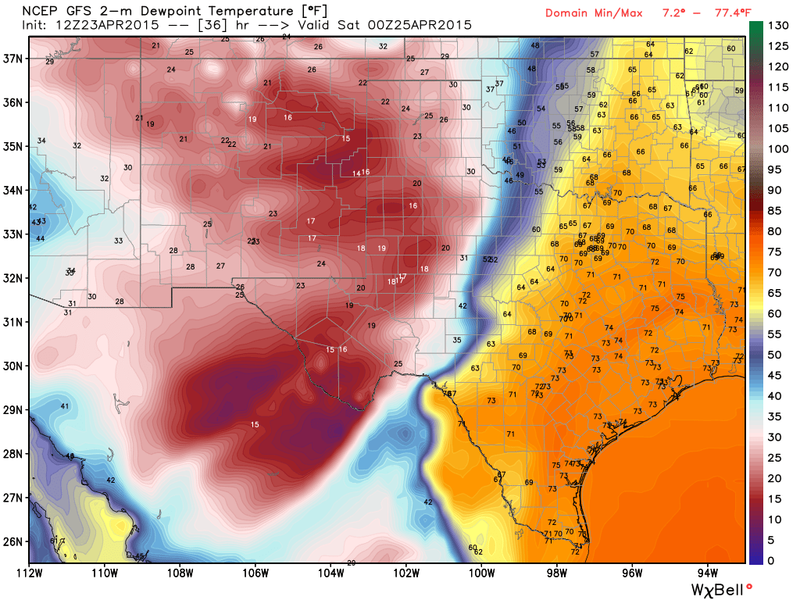 Notice the fairly sharp dryline that will set up roughly from Wichita Falls southward to near Abilene and Del Rio late Friday afternoon. Dew point temps in the teens in SE NM contrasting with near 70 in Dallas. 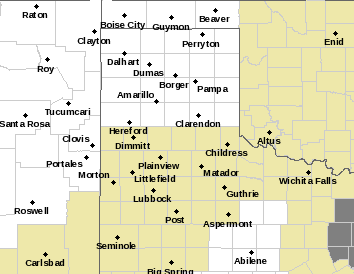 The dryline/Pacific Front will serve as a boundary for severe thunderstorms to fire up along and east of it Friday afternoon and evening. 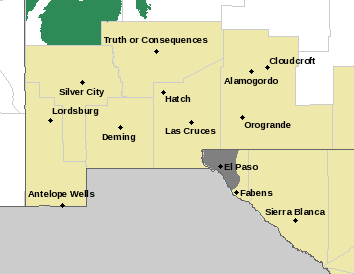 Stormy Weekend For New Mexico. 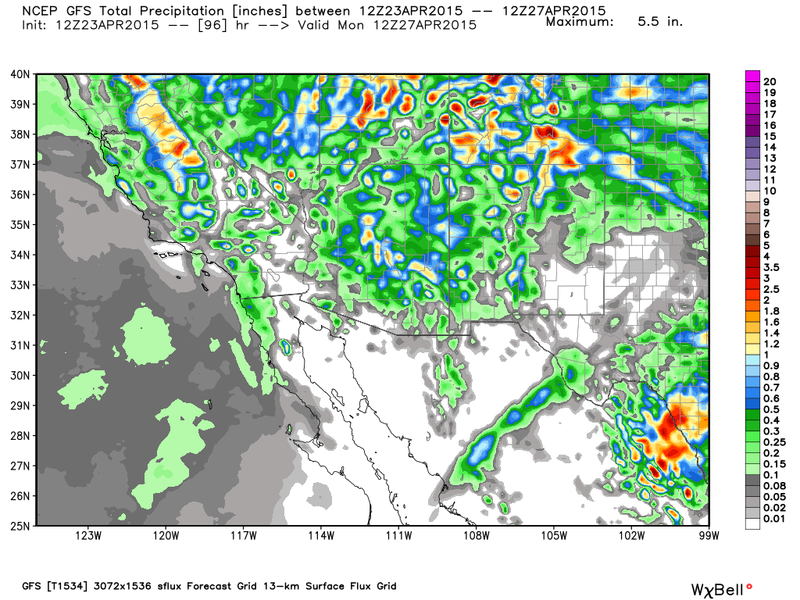 GFS 6-Hourly Total Precipitation & Type Forecast. 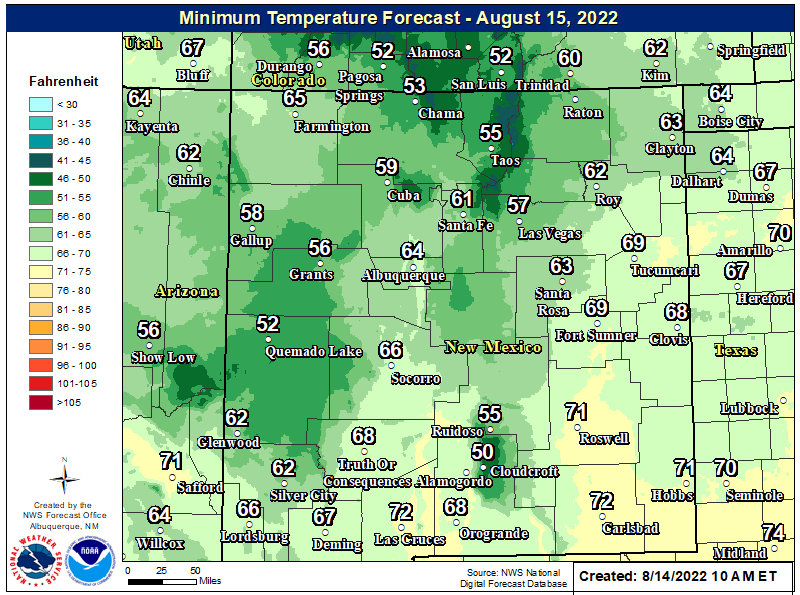 Valid @ 6 AM MDT Monday. 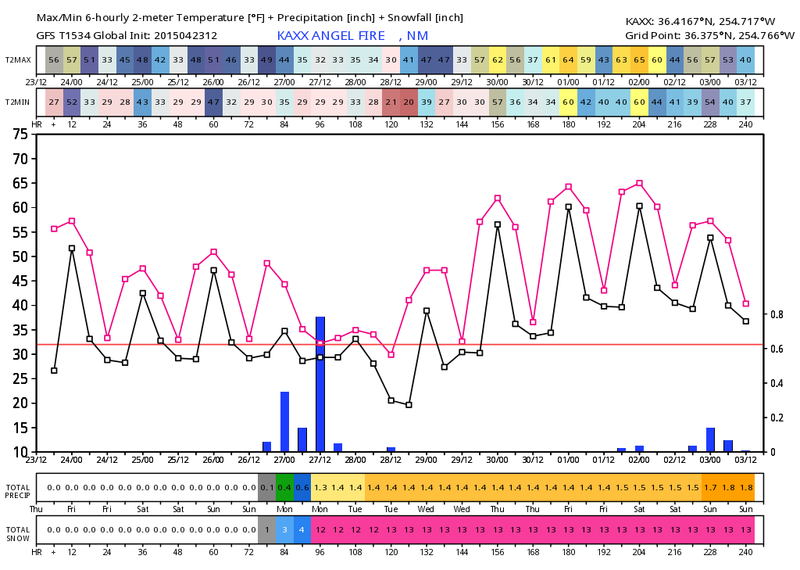 GFS 10-Day Forecast For Angel Fire, New Mexico. 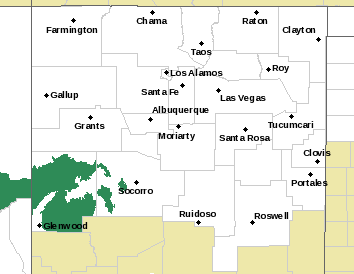 The next upper level storm to impact the state Sunday and Monday will bring lowland rains and high mountains snows...including the Ski Apace area west of Ruidoso Sunday into Monday. 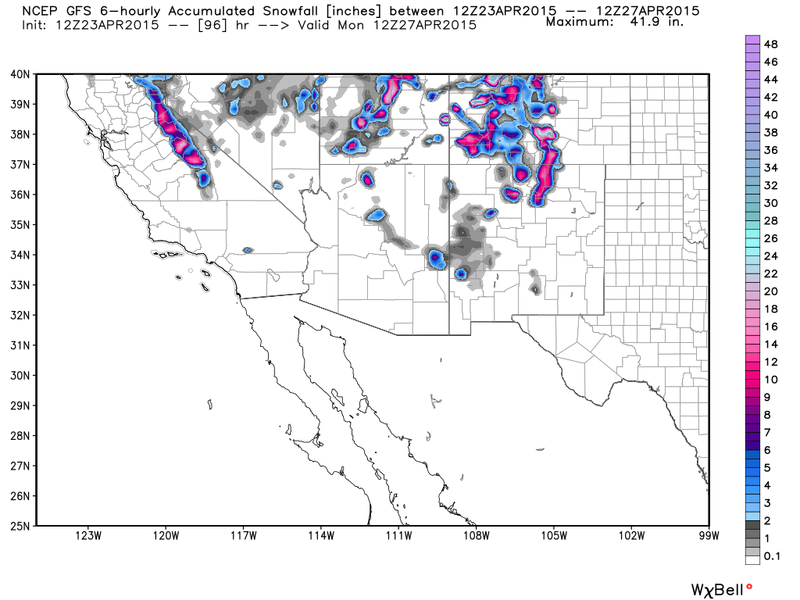 A foot or more of snow looks possible across some of the higher mountains of northern New Mexico. It appears that at least one more blast of winter is in store for these areas. 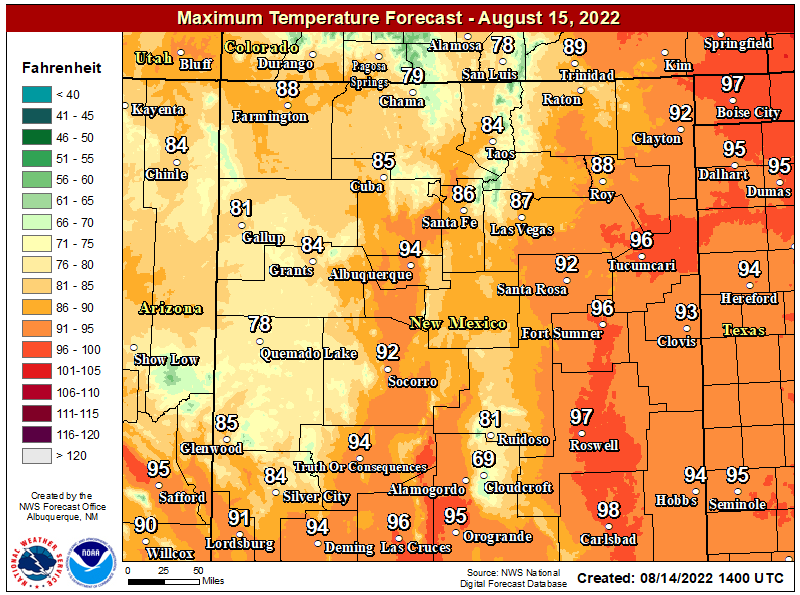 A few thunderstorms may break out over the southeastern plains on Monday.